The Jamestown Community Chorus (JCC) is a 40-plus member choir dedicated to setting an example of excellence in choral singing while offering its members an opportunity to have fun and enjoy each others companionship. 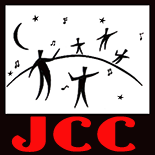 The JCC was founded in 1949. Throughout its long history, JCC’s mission has been to encourage and promote the development of a vital cultural environment within the Jamestown RI community, while providing enjoyable entertainment. JCC performs a variety of choral music including diverse styles from popular show tunes to classical standards. Concerts are built around the idea that both the choir and the audience should be inspired as well as entertained. For a look at Past Musical Programs click here.